Our concerts are Thursday, Friday and Saturday nights and one Sunday a month. 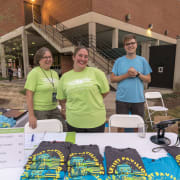 We require 10-12 volunteers per concert. No experience is necessary, we can train you on the spot! 3-4 hours per concert depending on position you sign up for.